DOUBLEOXM: Rapunzel Rapunzel let down your hair! I know you miss me. I know you do. Don't even try to deny it. No stop. Just admit it. You do. I've been wanting to watch it since before it came out! But I didn't have time to watch it, and nobody to watch it with. I know, pathetic. Actually she was suppose to put it inside her thumb-drive cause I couldn't find mine, but she couldn't find hers either so she suggested watching right here, right now. Which is what I did! 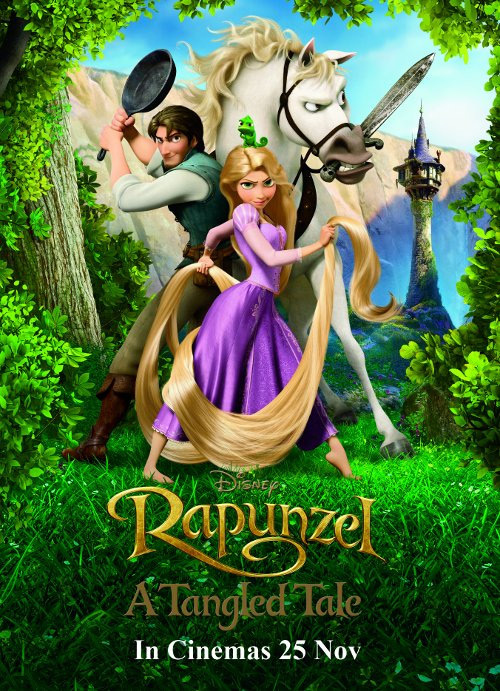 I'd do anything to watch Rapunzel. I would even go skydiving and watch Rapunzel at the same time. Or smear my face with sambal chilli while watching it, which I have no idea why I thought of that. Or...well you get the idea. She even gave me a piece of chocolate cake which was pitch black!!! I ain't no racist dude. It really was. Black. THE MOVIE. WAS. AMAZING. AWESOME. ASTOUNDING. APPLE. ANFLEQUELISH! I just LOVE her hair. 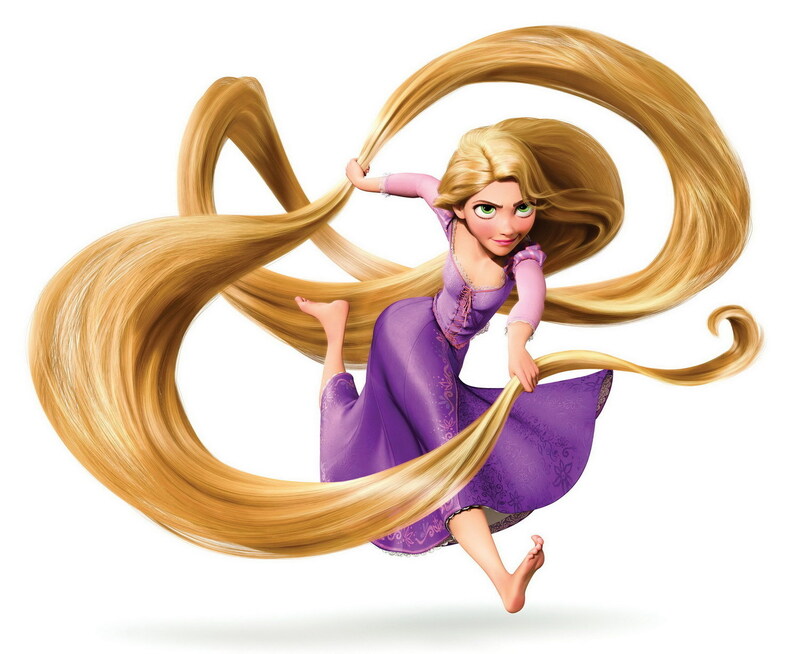 "Tangish will make your hair look as silky as Rapunzel's! 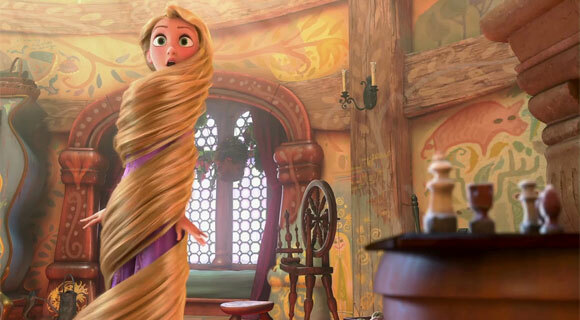 You can even be kept warm with your own hair, like this." 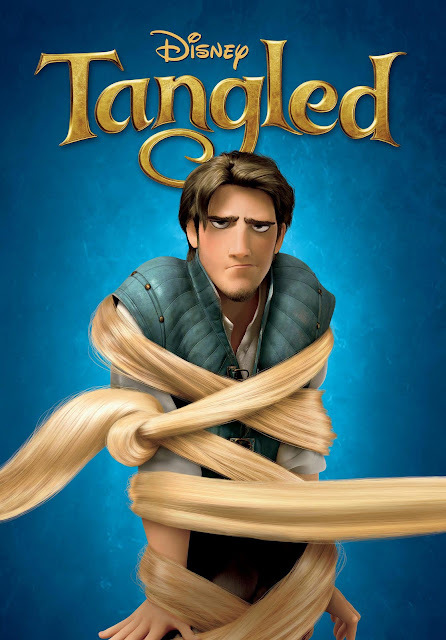 & tie him up with the sturdy hair you'd get, like this." 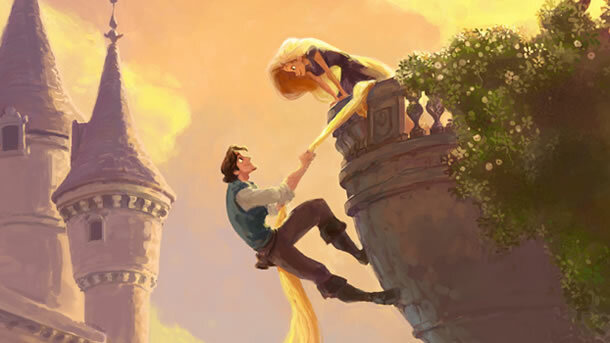 "And you can even let your prince charming find you just by smelling and following your elegant and flexible hair!" "Not to mention CLIMBING it because of it's strong bonds! ;)"
Get your own Tangish in any of the local stores near you, now!" HAHAHA LOL. THIS IS SHO FUN. Okay. I digress. Anyway, this movie really is awesome. I mean seriously, how can you not like her character?! Not to mention the guy was so humorous! If only I'd find someone like him... Yeah right Xinman, dream on. Her hair is sooooooo long, even when she hugs them, lots more STILL hung below! Two people hugging it, AND YET LOTS MORE STILL LEFT ON THE FLOOR. Like woah. I wanna measure her hair. I wanna touch her hair. I wanna lie down on her hair. I wanna braid her hair! I sound like a pervert! GYAAAH. Oh and did you realised that all the princesses or main actress ALWAYS has a small companion with her?? 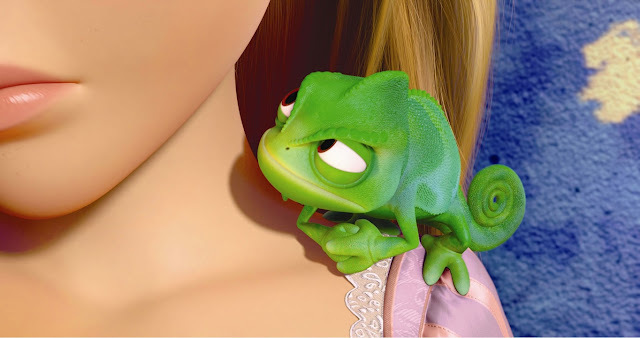 Rapunzel's is a chameleon! Oh and he's GODDAMN CUTE CAN. 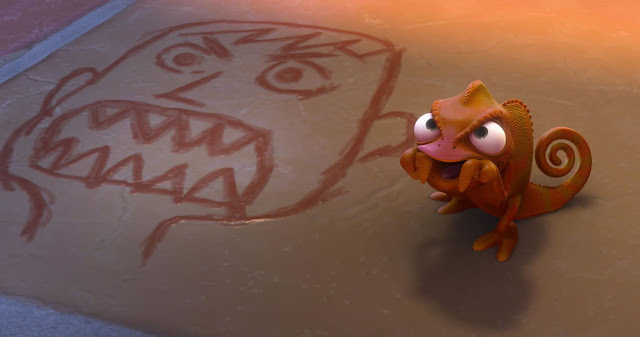 It's a wonder that no matter how gruesome one creature is in real life, they will always look cute in cartoons! Oh there's a horse call max...smth in there too! I LOVE THIS PICTURE. HAHAHAH. Hahah I really love this show! The animations is awesome lah, SO EFFING REAL CAN. For those who never watch it which I doubt so (damn I am so out of date), you MUST watch it. Or else you will regret it for the rest of your life and go to hell. Yeah. Hell. 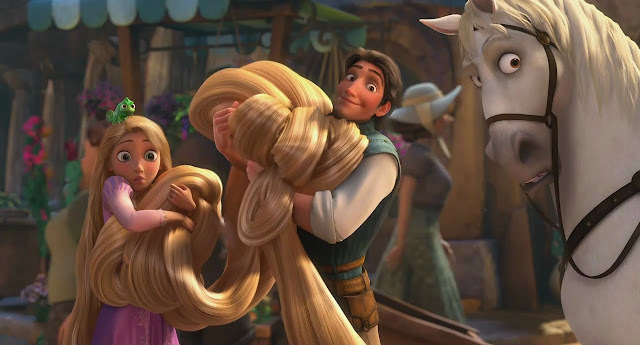 Rapunzel is now officially my favorite Disney character! Hehhee. I swear I won't ever get tired of this movie. NEVER. Hehhe must thank Lynn for giving me this chance to watch this movie! Oh yeah, she actually showed me how she drew all the bookmarks and stuff on her computer. I really respect her for her talent man! She really is swift with all her strokes and etc! Goshhhh. I think she is so gonna be famous in the future. *All pictures credited to google.